Texas officials say they will appeal a judge’s ruling late Tuesday striking down a new law the state approved allowing women considering an abortion a chance to see the ultrasound the abortion center does of their unborn baby. . . . U.S. District Judge Sam Sparks issued an injunction in advance of the September 1 date the law is supposed to go into effect. He ruled in a two-page order that parts of the state’s new sonogram law are unconstitutional and prevented Texas officials from issuing any fines or penalties against abortion practitioners who do not follow the law while the lawsuit continues. . . .
"The sonogram lets [women] see the development of their unborn child. It will help them realize the separate uniqueness of that life before they make that decision." - CPLC Executive Director Karen Garnett quoted in Wall Street Journal article on "Court Ruling Blocking Portions of Sonogram Law"
Experience the vision of 40 Days for Life! National 40 Days for Life campaign strategist Lauren Muzyka will provide an overview of the campaign, discuss how to participate, and give practical tips on organizing and energizing prayer volunteers. If your church or organization has not yet adopted a day of prayer during the Fall 2011 Dallas vigil, click here to find the remaining available days. We need you! Date: Saturday, Sept. 17 Delve deeper into Blessed John Paul II's Theology of the Body and how we can best live out our vocations as Singles, Marrieds and Religious. Learn from dynamic speakers, Monica Ashour (TOBET Executive Director), Dr. Palencia (Catholic Physician and NFP expert), Father Jason Cargo and many other respected experts in their fields. Register today by visiting TOBET.org (includes breakfast and lunch and concludes with Vigil Mass). Call 972-256-8921 to inquire about group rates. Join Bishop Mark Seitz, as he celebrates Mass with Fr. Joseph Mehan, and offers a special blessing for CPLC Sidewalk Counselors and Prayer Partners who stand vigil for the precious unborn outside the five Dallas abortion centers. Sponsored by St. Michael the Archangel Pro-Life Committee. On September 11th, the Dallas community will gather together to reflect and remember the events of ten years ago and all those who were lost. The event is open to the entire community, and members of the interfaith, business, civic and academic communities will be in attendance, as well as area elected officials. or 214-379-2854. Parking available and a DART station is located two blocks from the theater. Time: 2:00 - 3:15 p.m.
"Praying for the sanctity of life"
They walked. They prayed. And they sweated. 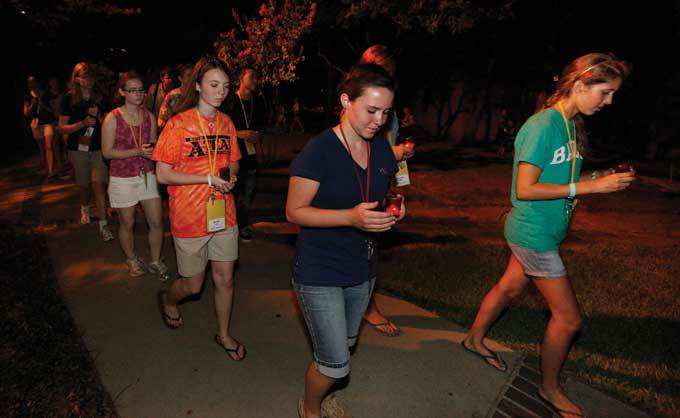 Even with record heat this month, more than 60 youth from the Diocese of Dallas prayed the rosary in front of several abortion centers as one of several activities in the annual Pro-Life Boot Camp sponsored by the North Texas Catholic Pro-Life Committee. "Study: Birth Control Not Stopping Unplanned Pregnancies, Abortions"
A new study conducted by a former research arm of Planned Parenthood shows the policies of the abortion business promoting contraception and birth control to poor women aren’t "working," as unplanned pregnancy rates are rising.